Kevin Winston, Applied Materials Inc. Applied Materials, Inc. is revolutionizing etch technology with its Applied Producer® Selectra™ system, the industry's first extreme selectivity etch tool that introduces new materials engineering capabilities for continued scaling of 3D logic and memory chips. Advanced microchips featuring increasingly complex structures and deep, narrow trenches are creating new manufacturing challenges. One of these challenges is the inability of wet chemistry to penetrate tiny structures; another is the removal of unwanted materials without causing damage. 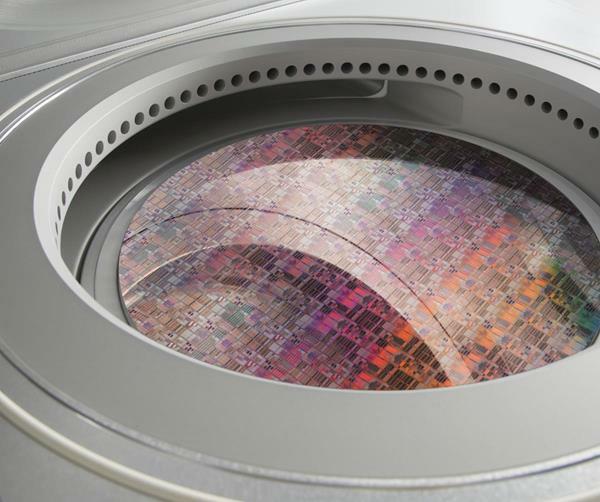 The Selectra system’s breakthrough process accesses the smallest spaces, delivering unprecedented materials selectivity and atomic-level etch precision for a wide variety of dielectric, metal and semiconductor films. Its extensive range of processes and ability to achieve precisely controlled residue- and damage-free materials removal targets an expanding number of crucial etch applications for patterning, logic, foundry, 3D NAND and DRAM. The system’s versatility allows chipmakers to manufacture leading-edge 3D devices and to explore new architectures, materials and integration options. Selectra systems are in volume production at foundry, logic and memory chipmakers, and demand is gaining momentum as customers begin to manufacture their most advanced device designs. Applied Materials, Inc. (Nasdaq:AMAT) is the leader in materials engineering solutions used to produce virtually every new chip and advanced display in the world. Our expertise in modifying materials at atomic levels and on an industrial scale enables customers to transform possibilities into reality. At Applied Materials, our innovations make possible the technology shaping the future. Learn more at http://www.appliedmaterials.com.